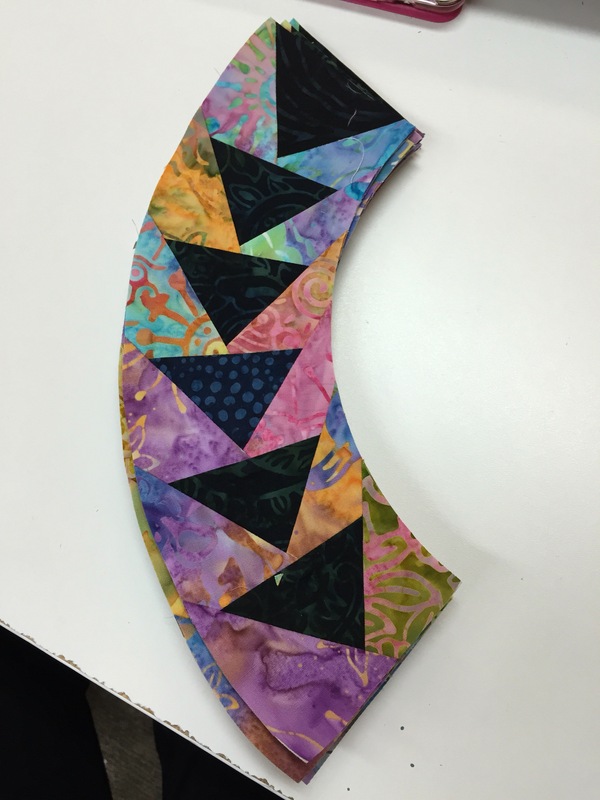 Using up a Bali Pop on another Keyhole Quilt. Strawberry Fields is the colorway. 54″ square. Using up those scrap 1930’s prints in this Picnic pattern by Kim Brackett. 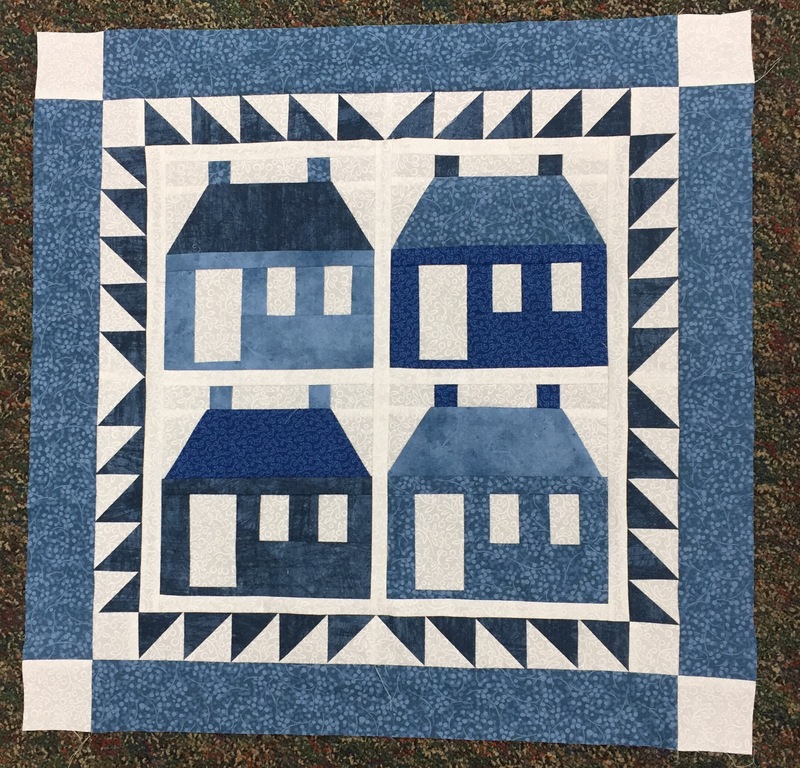 Blocks made at last Fall Ships retreat. Finished Friday. Bought the kit for this one at the first Shipshewana retreat in 2010 at Lolly’s. Pattern is Friendship Braid. 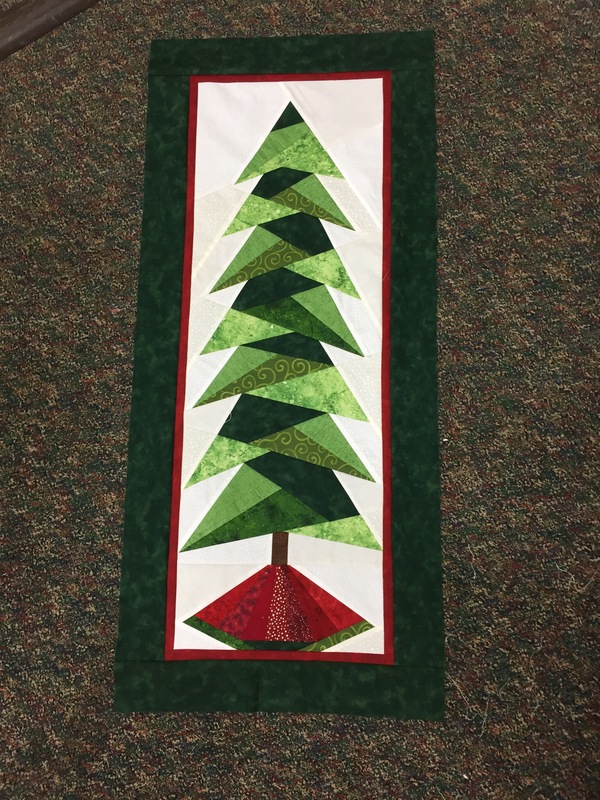 A Little Bit Shorter Tall Tree Wall hanging. 17”x 41”. Started yesterday, finished today. Bought this kit at Lolly’s yesterday. Top done today. 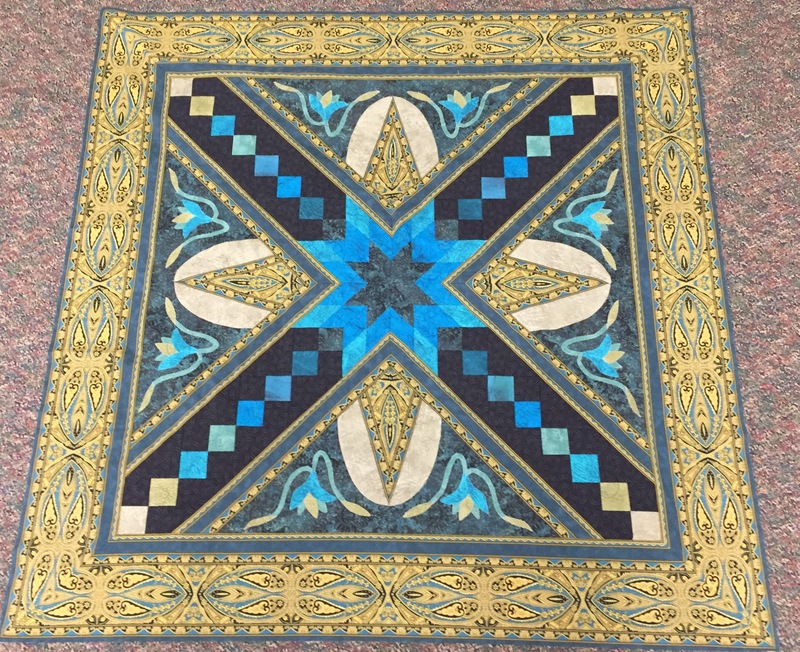 22″ square. 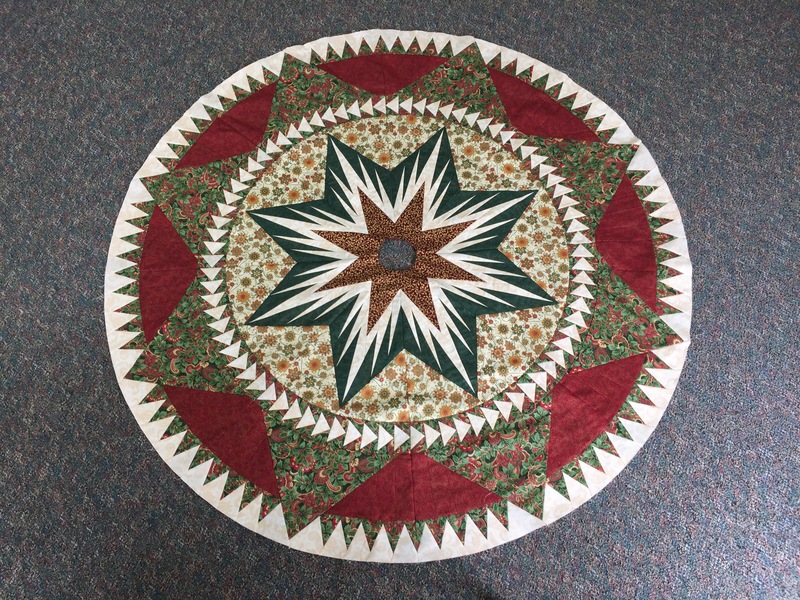 From Judy Niemeyer’s Christmas Celebration Tree Skirt pattern. 60″ with a 4″ opening. Switched to working on Geese units for Osprey’s Nest. Finished 21 dark geese today.